In August 1986, Zhenguo Industrial Corporation (Zhenguo Group) was established and led by Prof. Wang Zhenguo. After the pioneering and endeavor for 28 years, we have developed into a technological health industrial group integrating the anti-cancer medicines research/production, medical service and health preservation. Our headquarter lies in the Beijing Economic and Technological Development Zone. Zhenguo Group is composed of Zhenguo Medical Group and Zhenguo Health Industrial Group. Zhenguo Medical Group orients on the medical service to offer the professional medical treatment, cancer prevention and rehabilitation service for vast customers and patients. It has 1 pharmaceutical company, 2 pharmaceutical factories, 3 research institutions, 4 hospitals and more than 300 clinics. It possesses 9 medicine production lines of GMP standard to produce the medicines of various dosage forms, e.g. large-volume parenteral solutions, injections, tablets, capsules, granules, oral liquids and suppositories. Its series of anti-cancer medicines have been rewarded as “Top 10 Chinese brands of anti-cancer medicines at a great influence”, and the registered trademark of “Wang Zhenguo” has been certified as “Chinese famous brand”. Zhenguo Medical Group has the headquarter in Beijing, and 28 subsidiaries in major cities (e.g. Tianjin, Shijiazhuang, Taiyuan, Changchun, Dalian, Shanghai, Hangzhou, Nanjing, Wuxi, Nanchang, Guangzhou, Fujian, Changsha, Chengdu, Chongqing and Lanzhou). It establishes the secondary service center in the medical institutions, and has established a nationwide network of medical service and product sales. In addition, it has set the branches in various countries and regions, e.g. USA, UK, Germany, Japan, Australia, Hong Kong and Singapore. It has formed a medical service system for whole course of cancer service, i.e. screening, prevention, treatment, recurrence/metastasis restraint and rehabilitation. It has saved the life of numerous patients, become the famous enterprise in Chinese medical industry, and established a good reputation in the world field of tumor treatment and prevention. 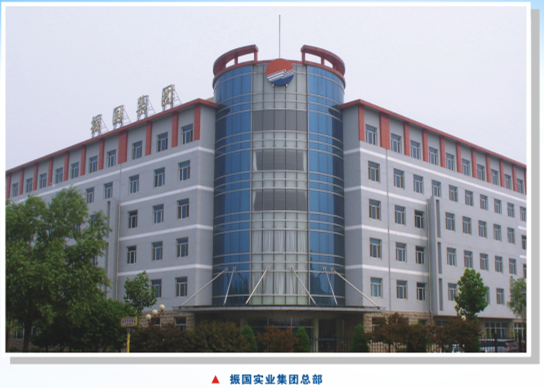 Zhenguo Health Industrial Group has several subordinate institutions, e.g. Zhenguo Changbaishan Health Valley, Beijing Zhenguo Tianxian Biotechnology Co., Ltd., Beijing Zhenguo Biotherapy Research Center, Beijing Zhenguo Kangmei Culture Media Co., Ltd., International Academy of Traditional Chinese Medicines, Jilin Tonghua Kangmei Health Food Co., Ltd., Jiangsu Rugao Zhenguo Health Food Co., Ltd. and Jilin Zhenguo Health Industry Non-profit Foundation. 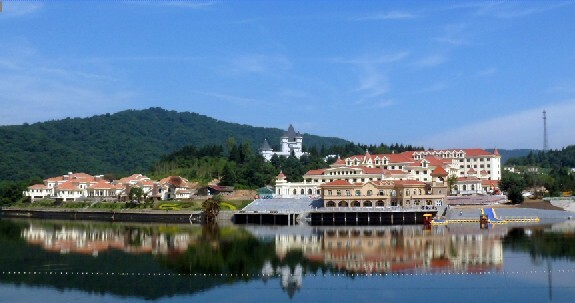 By relying on the Zhenguo Changbaishan Health Valley, Zhenguo Health Industrial Group mainly produces and sells the health products, functional foods, grape wines, cosmetics and green organic foods. In the health valley, the Experience Center and Guoyitang Center can offer various unique health preservation service for customers, e.g. health examinations, TCM medicines recuperation, cell revival and anti-aging looks improvement. Through the high-new technologies of modern medicines and the health preservation methods of TCM, its health preservation service can delay the aging and resume the healthy vigor, so as to make a remarkable contribution to the human health. We eternally strive to empower the healthy life for vast people, and enthusiastically create a bright future along the route of sun, sea and life.